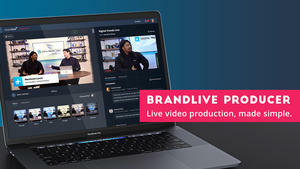 Broadcast live or recorded video in high definition. 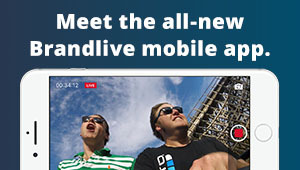 It’s mobile responsive, ad free, zero-delay, and can stream to over 20,000 viewers. 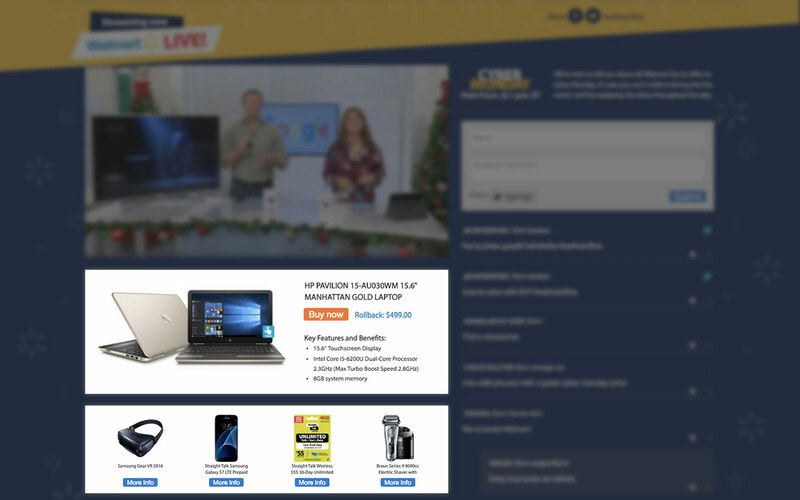 Feature products with a buy now button. Load multiple product images. Include product details and links. 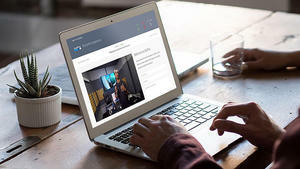 Interact with presenters and other viewers in real time. 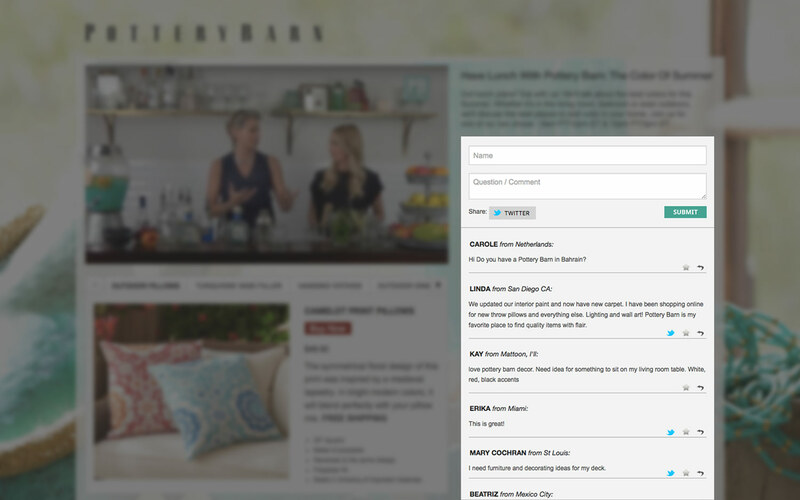 Tweet, rate, search, and save comments. Comment with a photo. Choose page images, fonts, and styles. 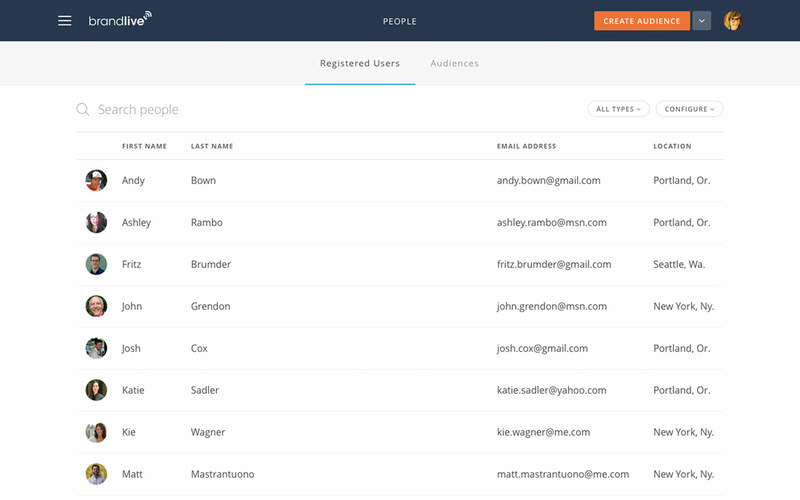 Customize registration, email notifications, and a URL. Add a watermark to your video. 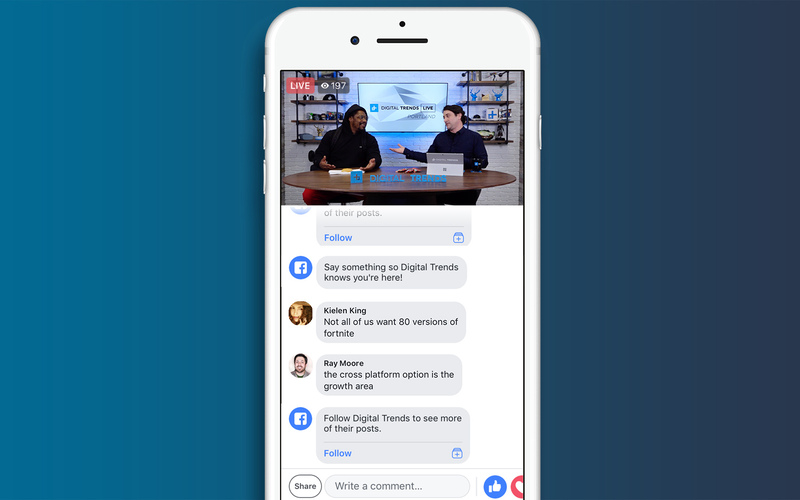 Social sign in, sharing, commenting, and hashtag listening. Broadcast to Facebook Live, Periscope, and other social media platforms. 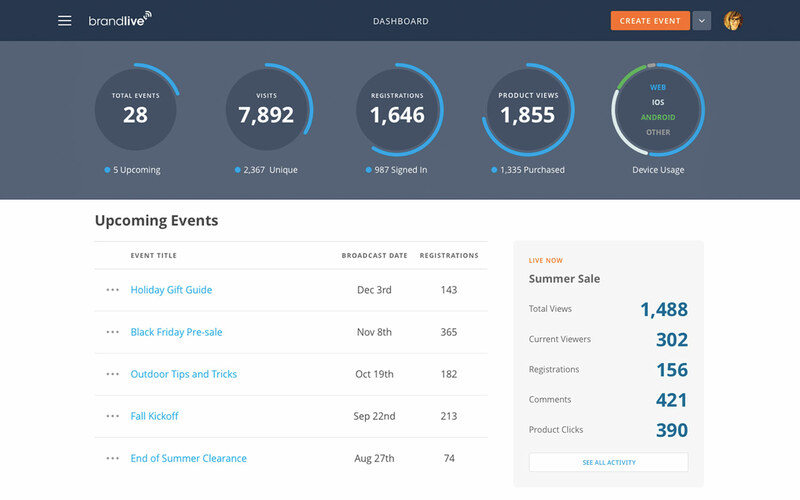 Access your overall account metrics and see recent and upcoming live events in one simple interface. 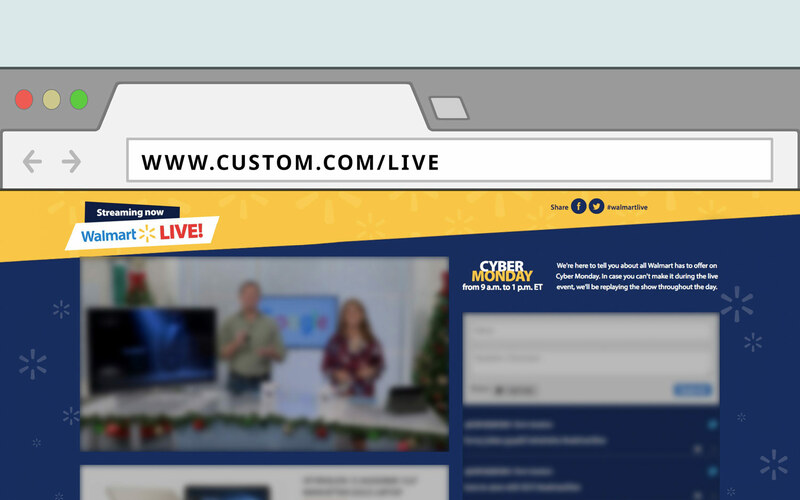 Create a customized event page in minutes. 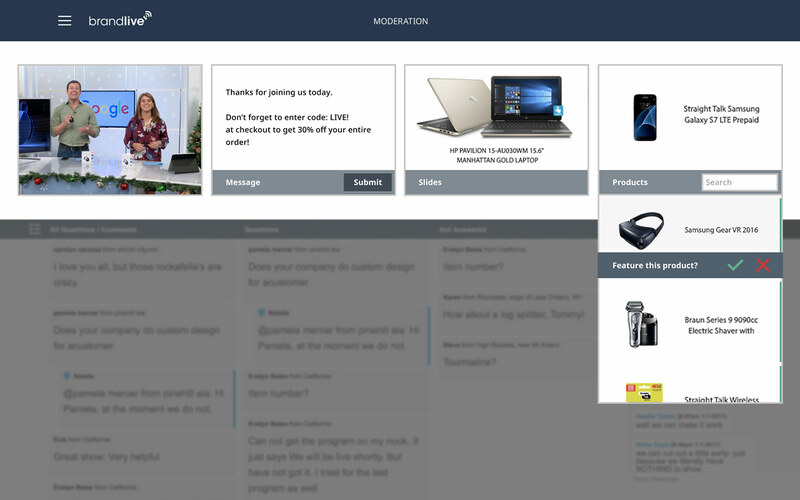 Add images, copy, and other content with an intuitive visual event builder. 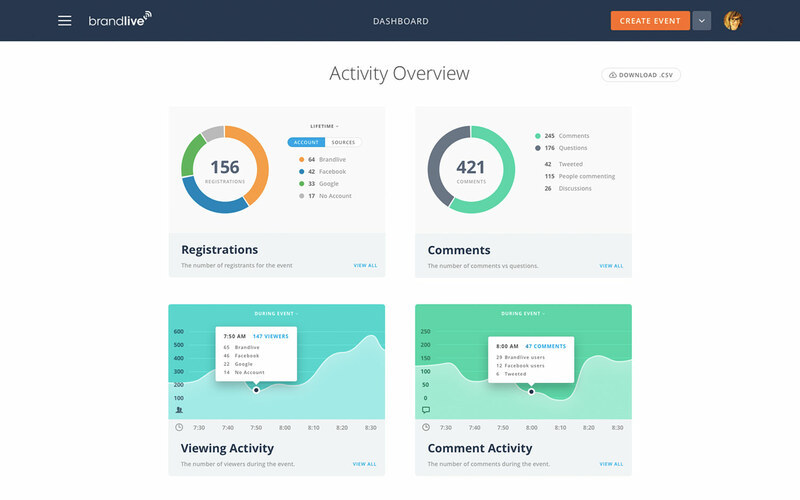 Track viewer registrations, pageviews, activity, retention, comments, and more. 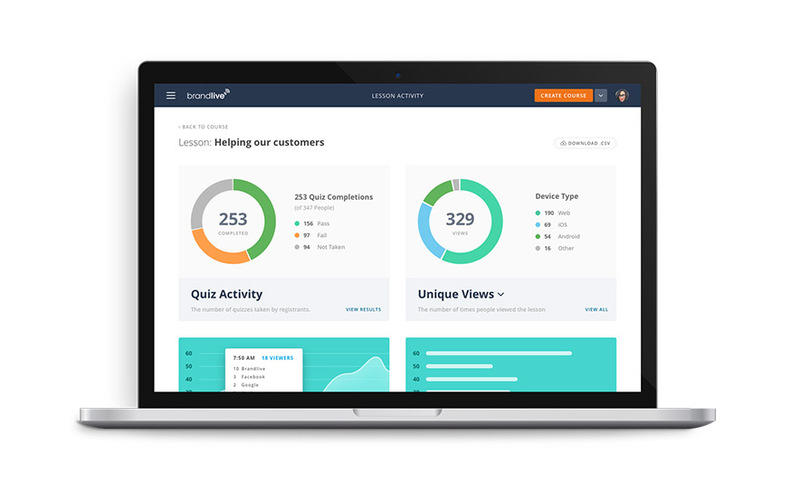 Build, manage, track, and email audiences. View event activity and course completions. 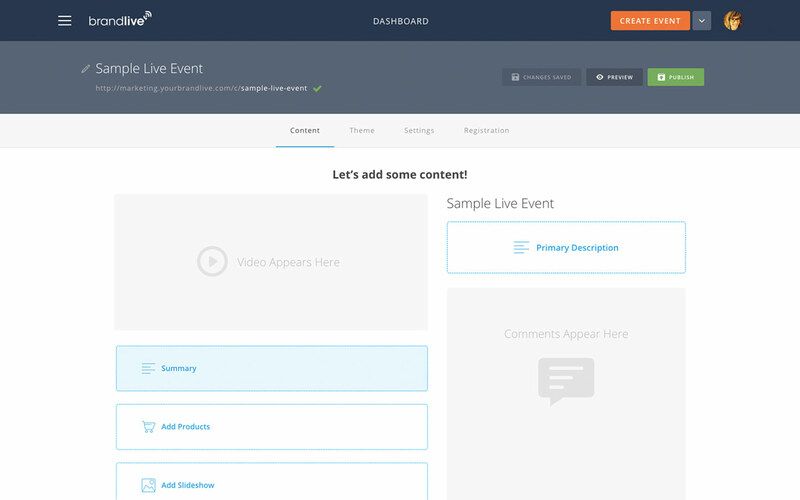 Push product details from a database to your Brandlive event page in real time. Incorporate up to 4 cameras, pre-recorded videos, screen sharing, picture-in-picture, lower thirds, and mixed media content. Choose from 5 pre-set filters, fine tune the brightness and contrast levels, and more. 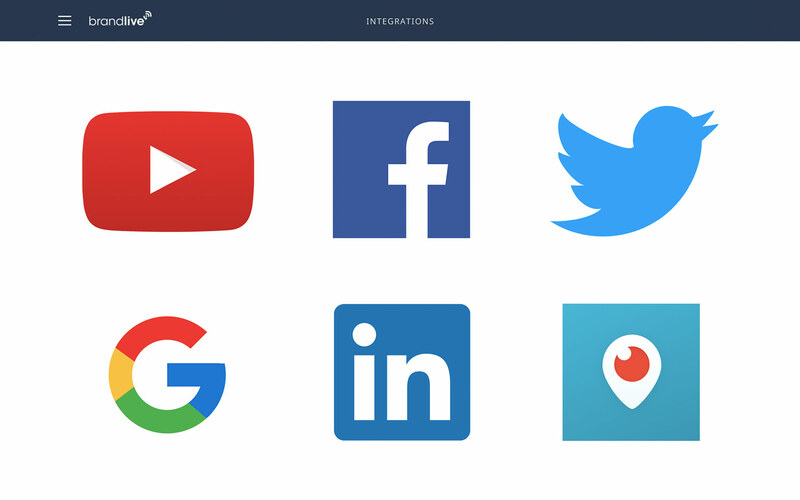 Simulcast events to up to 4 social media channels using a simple RTMP address. 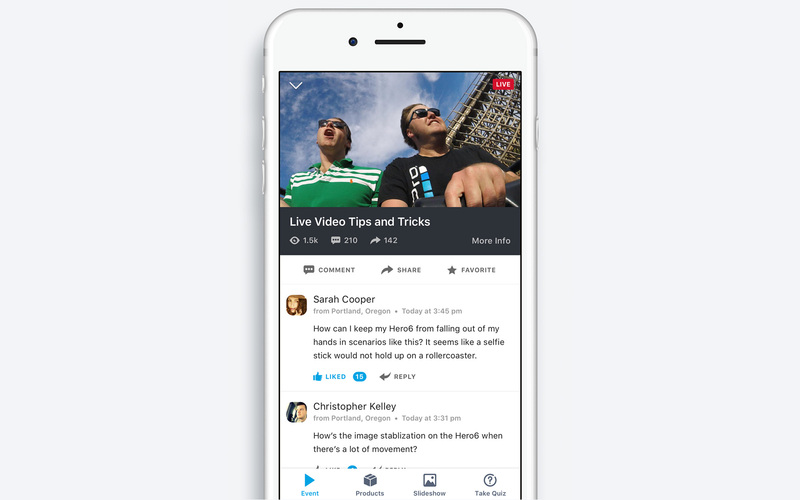 Interact with your audience during an event, and chat with the event host and moderators. 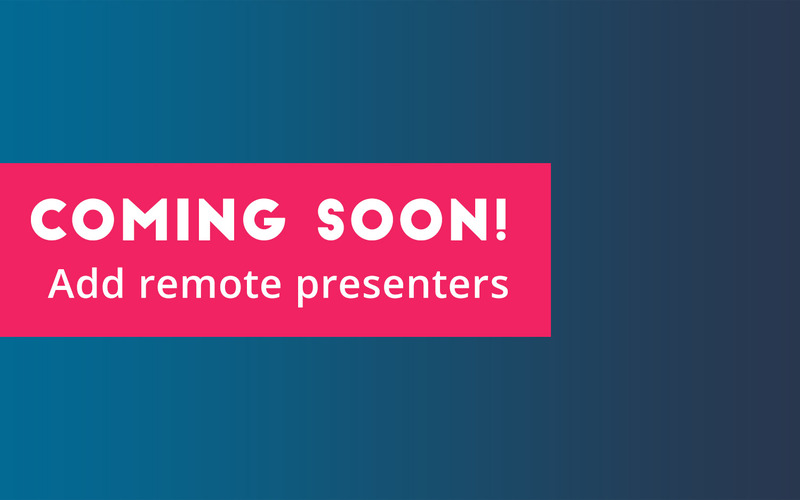 Coming soon: Broadcast multiple presenters from anywhere! 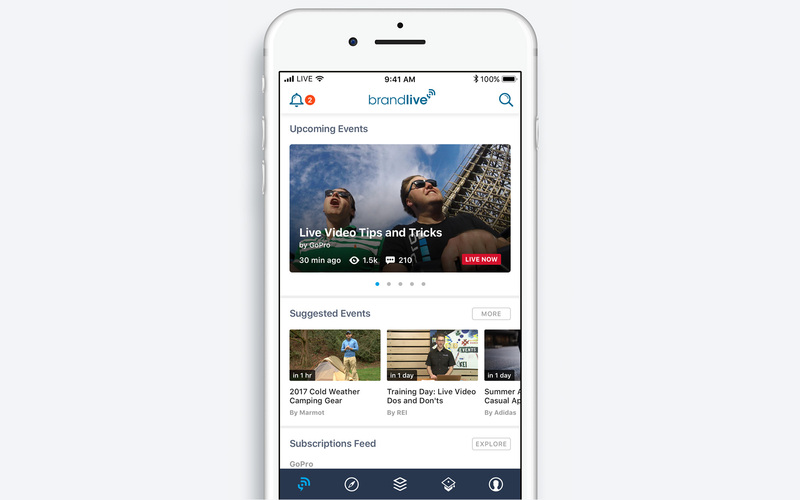 Engage viewers by broadcasting to public or private events using your smartphone. 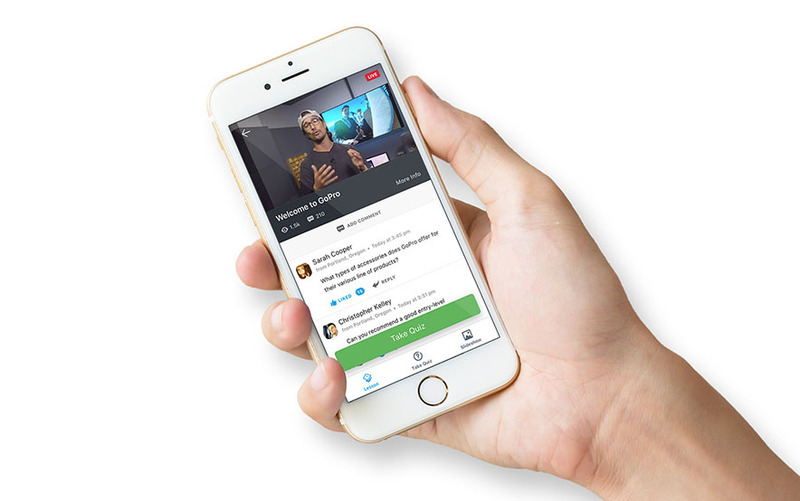 Bring your audience into the broadcast through real-time interaction. 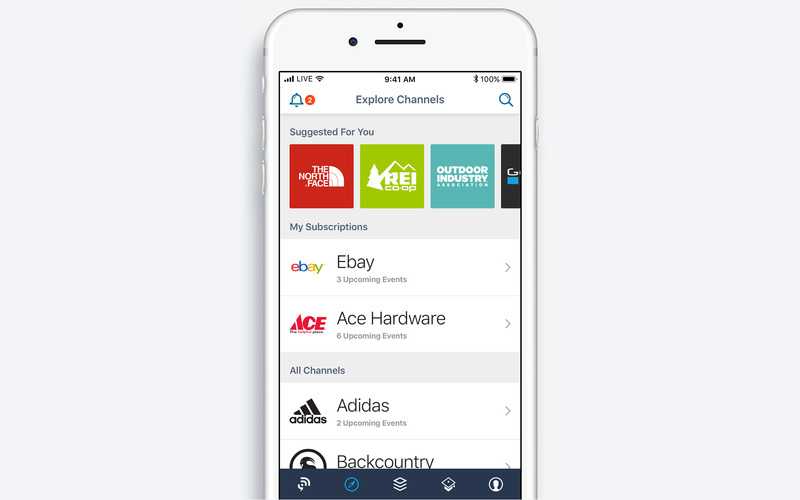 Users can discover and subscribe to your brand's channel to receive updates about public events. 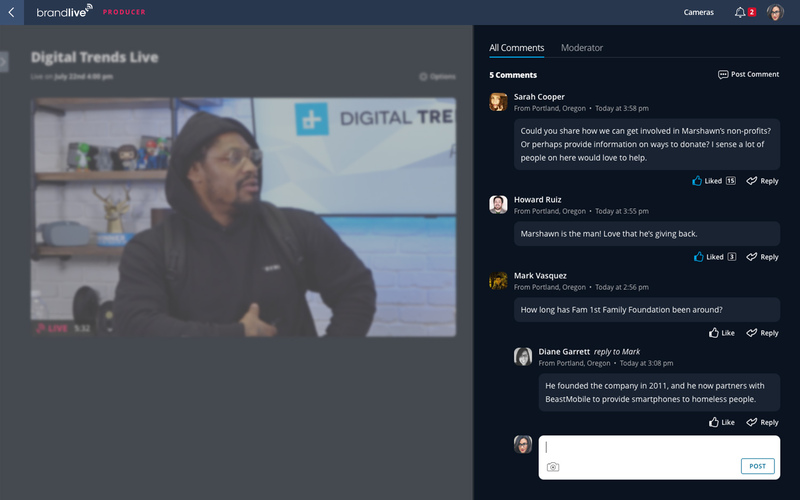 Users can browse upcoming and suggested public events in the live content feed. 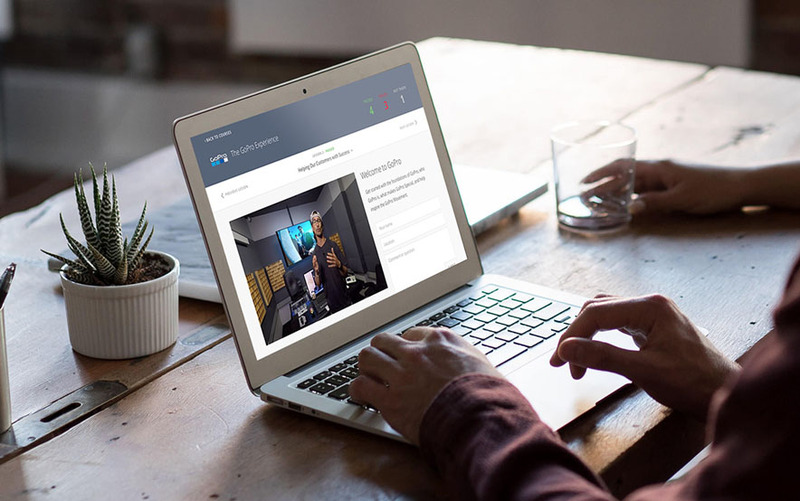 Remotely train employees, sales reps, and associates – live and on-demand – with the mobile video learning platform. 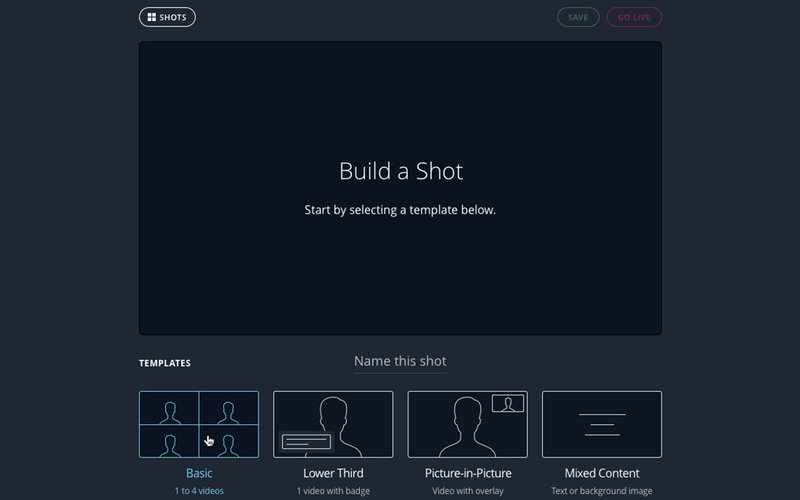 Create customized, live or pre-recorded videos for easily mastering coursework. 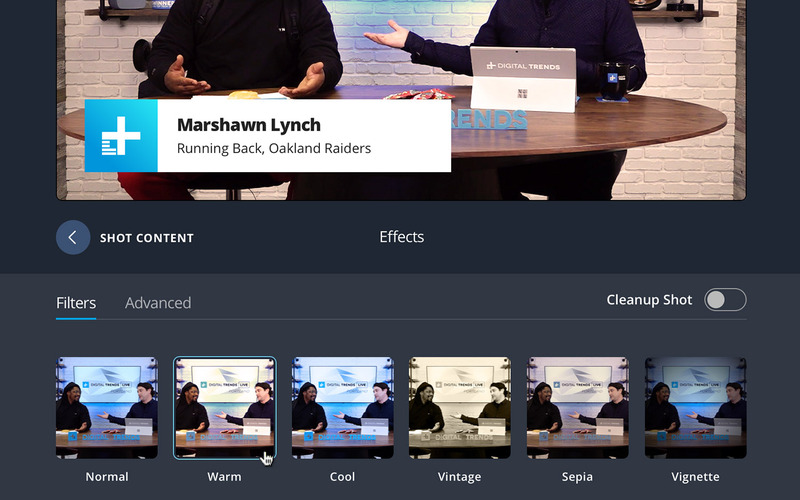 Build courses and lessons using live or pre-recorded video. Include quizzes within lessons to test participants’ knowledge. 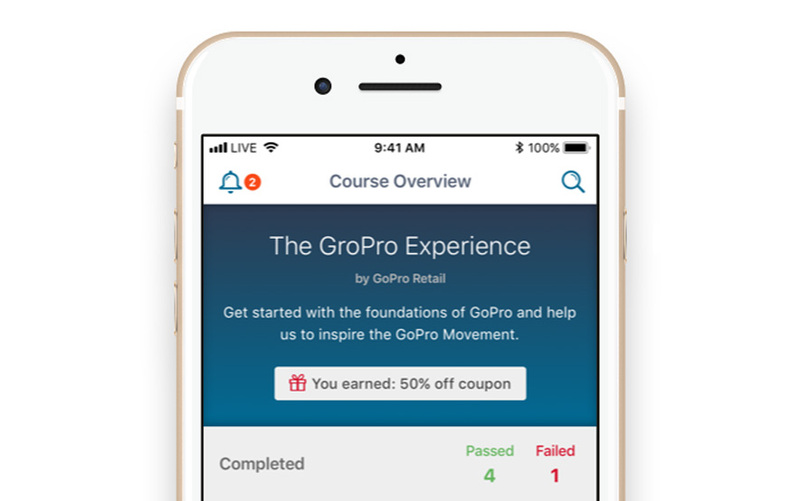 Increase audience engagement by offering incentives to those who have passed the course. 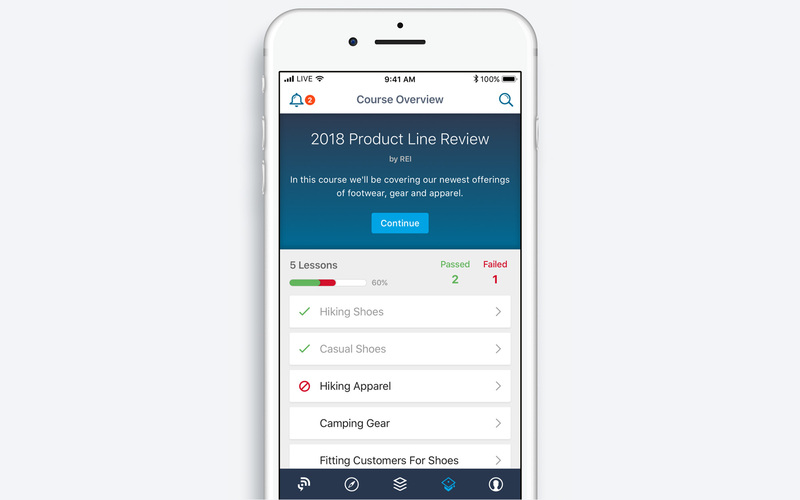 Track effectiveness of courses, lessons, quizzes, and audience participation.